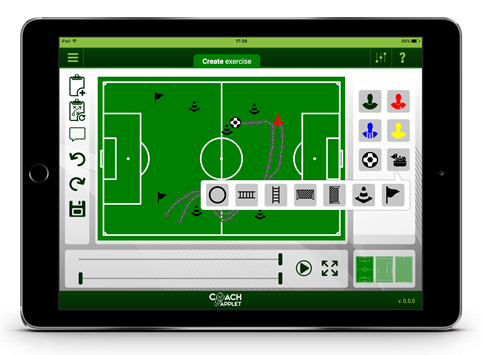 Coaches can share exercises in the cloud and hence gain inspiration for their own training & tactical planning. The team section organises players, staff, squads, prefered team and gross squad. It also keeps statistical information on the performance of each player. The match section enables the coach to log important events during a match (f.ex. goals, yellow/red cards, free kicks, passes etc) - and to use this for planning future matches. The calendar keeps track of your important meetings, training gatherings, matches etc. Share relevant info with players and staff. Players can download the players app to their smartphone and receive important information such as invitation to upcoming matches, exercises they must practise on, meetings to attend to etc.